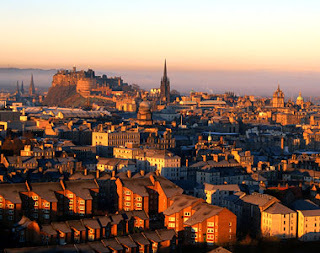 I lived in Edinburgh for two magnificent years, the best of my life. Every day I was there I experienced the grandeur of the Scottish seat in all its glory and every day since departing, I’ve conjured images in dreams. There’s no leaving Edinburgh, it always stays with you. Many people feel the same as I do about ‘Auld Reekie’, as its affectionately called. In fact, Edinburgh is the second most visited tourist destination in Britain. Edinburgh is a UNESCO World Heritage Site, noted for its cultural and physical significance. It's often referred to as 'the Athens of the North' because eighteenth century Edinburgh had more impact on our ideas than any town of its size since the time of Socrates. 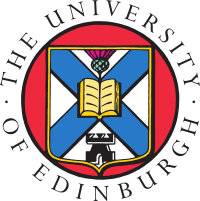 The city was one of the historical major centers of the enlightenment, led by the University of Edinburgh, long regarded as one of the most prestigious universities in the world. In addition to its intellectual merits, Edinburgh manages to combine both ancient and modern in a uniquely Scottish atmosphere. Watched over by the imposing castle, the symbol of the city, Edinburgh combines medieval relics, Georgian opulence and a powerful layer of modern life with contemporary avant-garde. Medieval palaces rub shoulders with the best of modern architecture, Gothic churches with remarkable museums and galleries. Edinburgh is also a feast for the mind and the senses, playing host to great restaurants, shops and an unequaled program of city festivals throughout the year. Robert Louis Stevenson said, ‘Edinburgh is everything Paris ought to be’. I am homesick for a home I held so briefly. I yearn for the essence of the city. Most of all, I miss everyday things like the sound of cars as they swish past on a rain-soaked cobbled street, ‘thump, thump, thump, whoosh’, the tires digging into the wet grooves of a three-hundred year-old road. I miss the smell of hops in the air as the scent of the nearby Caledonian brewery wafts through town. I hunger for the taste of Scotch foods like Heather honey, Monkfish, oatcakes, and haggis. I daydream about the view from high atop the Nelson Monument, looking over the city like a bird. I ache for the feel of cold morning mist on my rosy cheeks. My perfect day in Edinburgh starts with a ‘white coffee’ and a pastry at Patisserie Florentin in Stockbridge, a neighborhood just a five-minute walk north of city centre. I lived in Stockbridge during my time in Edinburgh and it’s one of my favorite areas. It feels like a village within a city; small and quaint but part of something larger. 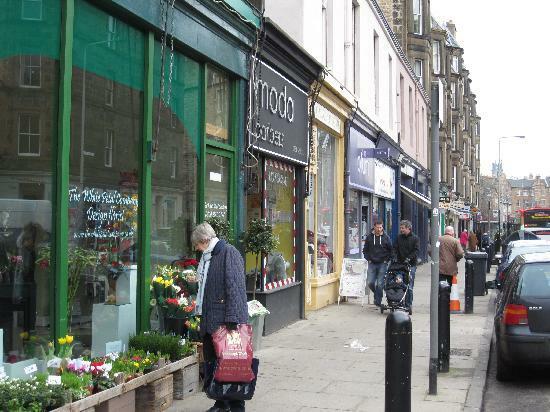 Charity shops, boutiques, restaurants and pubs line both sides Raeburn Street, the main thoroughfare. After a leisurely stroll through Stockbridge I walk onto the Water of Leith Walkway and walk southwest along the Water of Leith, a river that flows through Edinburgh to the Port of Leith and then to the sea, via the Firth of Forth. My favorite section of this promenade is through Dean Village. Now a part of Edinburgh, it was formerly a successful grain milling hamlet for more than eight hundred years. 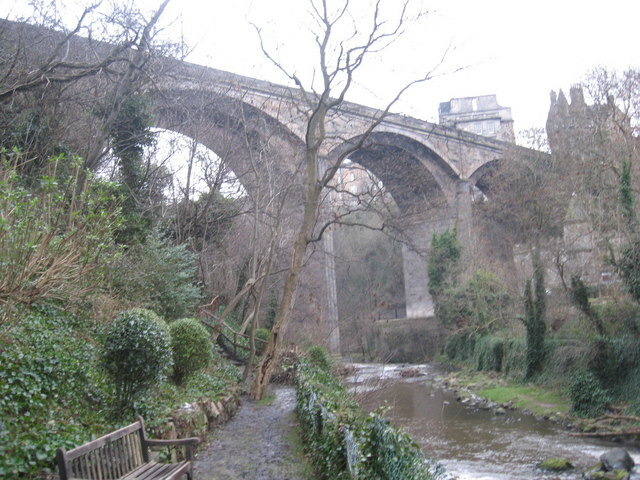 In 1833 the four-arched Dean Bridge, was erected and today provides one of the most scenic views in Edinburgh. Midmorning is a perfect time to sit and enjoy the quiet serenity on a bench under the Dean Bridge. Woodland and water birds chirp as a passerby’s feet shuffle along the gravel path. Very few tourists know about the Water of Leith Walkway and those who I see here are most likely locals. After a lovely morning repose I head up Queensferry road to Princes Street, Edinburgh’s main thoroughfare. This Street separates the city into two districts, Old Town to the south and New Town to the north. New Town was built between 1765 and 1850 and is rich in Georgian architecture, posh restaurants, and high-end shops. Old Town is the medieval part of the city built from the twelfth century on. Old Town is a bit more rowdy and there’s always something going on here! Whether it’s a parade, a boisterous display from Uni students or a kilted bagpiper playing on a street corner, Old Town leaves the impression that Scots love to party! I stroll along Princes Street and take in the mighty view of the impressive castle. I window shop at a few British chain stores (High Street shops). Then, I walk one street north to the parallel, George Street, the city’s most celebrated shopping area. I walk east, all the way to the end of George Street to Saint Andrew Square where I enter Harvey Nichols, an upmarket department store. I head straight upstairs to the Forth Floor Brasserie. It’s lunchtime and the Forth Floor offers modern Scottish cuisine with a spectacular view of the city from floor-to-ceiling glass windows. The Forth Floor offers three distinctly different areas; cocktails at the bar, a lunch in the brasserie or a gourmet dinner in the restaurant- all sharing impeccable views of the city and the Firth of Forth. After lunch I cross Princes Street and head to Old Town via North Bridge. Everytime I cross North bridge I pause midway and gawk at the view of the city; the spires, the castle, the ancient buildings and the buzzing train station in one direction and stately Calton Hill in the other. Calton Hill is a memorial hill just to the east of New Town. Views from a top the hill are often used in photographs and paintings of the city. Calton Hill is the headquarters of the Scottish Government which is based at St Andrew's House, on the steep southern slope of the hill. The hill also includes several iconic monuments and buildings. It is early afternoon and the perfect time to visit Edinburgh Castle. Tourists and organized groups flock in the morning so the afternoon offers a better experience for the independent traveler. I’m fascinated by each room of this ancient fortress and am baffled how the English managed to conquer this stronghold…twice! This brings me to an important point, The Scottish are more Scottish than they are British. While a part of the United Kingdom, Scotland differs greatly from England in many ways. There is a long history of conflict between the two nations and to this day, tension still exists. See it for yourself in a pub during a football (soccer) match. The Scots will cheer for Scotland or any team playing against England! After visiting the castle I walk down the Royal Mile, an ancient mile-long road that connects the Castle and Holyrood Palace, her majesty’s residence in Edinburgh. Tours are available when HM is not there. While in Old Town, I pop round to the University of Edinburgh. This is the historic location where many great minds transformed the future of the modern world. Alumni include former Prime Minister Gordon Brown, Princess Margarita of Romania, Princess Raiyah of Jordan, Prime Minister of Canada Charles Tupper, Naturalist Charles Darwin, Economist Adam Smith, Engineer and inventor of the telephone Alexander Graham Bell, Philosopher David Hume, Writer Robert Louis Stevenson, and… me! George IV Bridge is another main road in Old Town and where the National Museum of Scotland and the National Library are located. The museum houses relics from throughout Scottish history including possessions of the revered Robert the Bruce and William Wallace as well as Dolly the first cloned sheep! The National Library brings back memories as I spent most my time here while writing my masters dissertation. It was always quiet and cold inside. I’d park myself in my usual corner with twenty or more books. I’d read all day and get lost in the research. It was dark when I got there and dark when I left. In the winter sunrise is at around 9am and sunset at around 3pm. Because the nights are so long for a good portion of the year many social activities take place inside and usually in a public house (pub). People love to drink in Scotland and it’s as much a part of the culture as kilts and sarcasm. Whisky is the national drink but Scotland also produces some delicious beer like Deuchars IPA and Belhaven Best. Some of my favorite pubs are the Bow Bar (Old Town), the Bailie Bar (New Town), the Cumberland Bar (New Town), The Last Drop pub (Old Town), and Jekyll and Hyde (New Town). There are pubs absolutely everywhere and I’d venture to say you won’t go a block without at least one option. After a pre-dinner pint I head over to Castle Terrace Restaurant, one of two Michelin-starred restaurants in town. Chef Dominic Jack presents the finest Scottish produce and his philosophy of ‘Nature to Plate’ in a modern and innovative way. I have ravioli of Bowmont Valley partridge with seared fois gras, red cabbage, marjoram and partridge consommé followed by saddle of roe deer from Saltoun estate with quince tatin, seared pumpkin, chestnut and pepper sauce. For dessert I enjoy a selection of British and French cheeses from the trolley. The meal is refined but not pretentious, modern but rooted in tradition, beautiful but approachable and comforting. The one hundred and fifty year-old arched stone steps of the building where I used to live that have been filed down by generations of shoes walking up and down them. Having two faucets on every sink- one for hot water and one for cold water. The sound of ‘Scotland the Brave’ being played by bagpipers on street corners. The taste of fifty-pent Gregg’s sausage rolls and the feeling of grease dripping down my contented chin. The smell of the local cheese monger and the scent of its pungent dairy delicacies. Fish and chips at 2am. The Scottish brogue and Scots words like, blather, steamin’, lad and lassie, pasties, baps, bridie, and slainte mhath, ceilidh. The weight of the thick, British one pound piece in my pocket. The musty smell of ancient buildings and the feeling of living history when I brush my hand across their stones. Seeing the sea from the top of Hanover Street on a clear day. The sound of seagulls outside my bedroom window. The madness of the Fringe Festival. Edinburgh becomes the cultural center of Europe once a year. Everyone becomes an artist or performer in August. Clotted cream, scones and the color of ‘builders tea’ with milk. My favorite restaurants; Nargile, Kushis, and The Kitchin. The Christmas Market and the mulled wine! The One O'Clock Gun (canon) fired everyday from the castle. Green hills dotted with white sheep. The sand on Portobello Beach. My friend Jean with whom I shared my experience at the University of Edinburgh. If every city has a word that exemplifies it, Edinburgh’s word should be ‘magic’. All who visit are charmed by its many spells; beguiled by the shifting light, captivated by the changing skies, and enchanted by the sudden vistas. It is a city so beautiful it breaks the heart again and again. I feel so inadequate for not having visited Edinburg. I will one day soon and will hold this itinerary close to guide me through your soul-home-town. Bethany, I loved your blog. Well done! I have collaborators and Niall’s parents in Edinburgh, and always look forward to every trip back north. The city never ceases to amaze and surprise me. Just when I think I’ve sussed it, there is something new behind another corner. Next time you’re in the UK, let me know and come see the South Coast of England! You and your family have an open invitation to a guided tour of Devon!